Named after the populist Toronto Park, Birds of Bellwoods are charging forward with their second EP since their formation in the summer of 2013. Abandoning bandmate Kintaro Akiyama’s basement in favour of a studio, the alt-folk quartet channeled elements of progressive rock and pop into their latest release, The Fifth. And while it’s not as poetic sounding as their single-take, one-mic debut, the evolution gave the band the chance to set its foot-stomping clamour loose in a setting that managed to capture the layered harmonies that so charmed critics the first time around. Especially since Akiyama and fellow members Stevie Joffe, Adrian Morningstar and Chris Blades also tapped a couple of other musicians to fill out their line-up, bringing in Johnny Simmen on percussion, Jeremy Foster on violin and Jesse Morrison on the viola to weave them into arrangements that already featured their staple banjo, mandolin and upright bass. The result means that even at its slowest and most heartbroken, The Fifth is a rich blend of uncommon sounds made familiar. Vocalist Joffe veers in and out of a faint twang, teasing a light touch of Americana on “Roll Your Stone” as the bass and banjo thump in time in the background. But the chorus on precursor “Come Home” feels steeped in an older British tradition—even bringing to mind Scottish-Canadian tenor John McDermott. 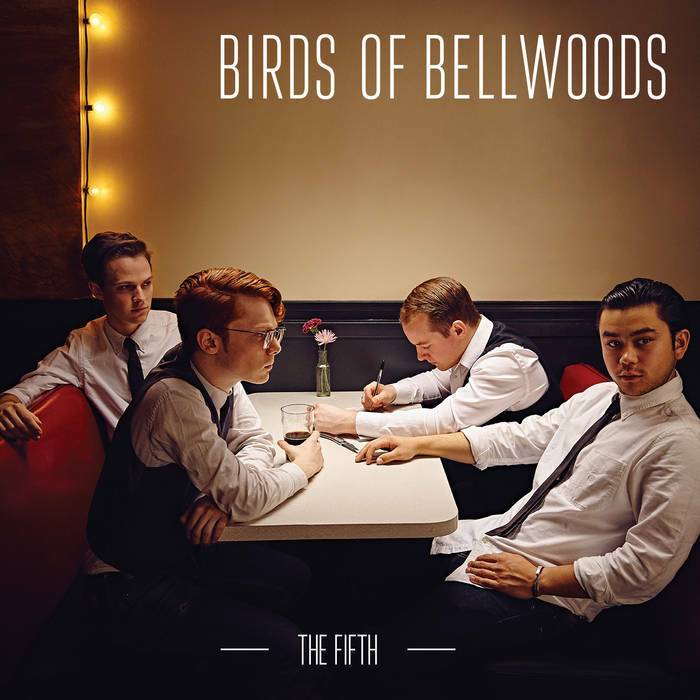 In fact, it doesn’t feel like too much of a stretch to loosely compare Birds of Bellwoods with the more modern Mumford and Sons as they slap strings and overlay deep baritones on top of each other going into the chorus. More subtle Biblical allusions only boost the comparison, but it can only go so far as the Toronto creation can’t help but be touched by influences that have bloomed on this side of the Atlantic. The opening of “Grey Ghosts” feels downright grunge before segueing through stripped down sing-along that wouldn’t feel out of place in an East Coast pub. And while the five-song follow up starts soft with the devastating “Sky,” it ends much more in line with what follows. That classic folk defiance comes out its very strongest on the titular last track, opting to end things—as they should—with one final foot-stomping bang.